What could be more hearty and delicious, not to mention filling and satisfying, than a serving of One-Stop Barbecue Bean Bake? 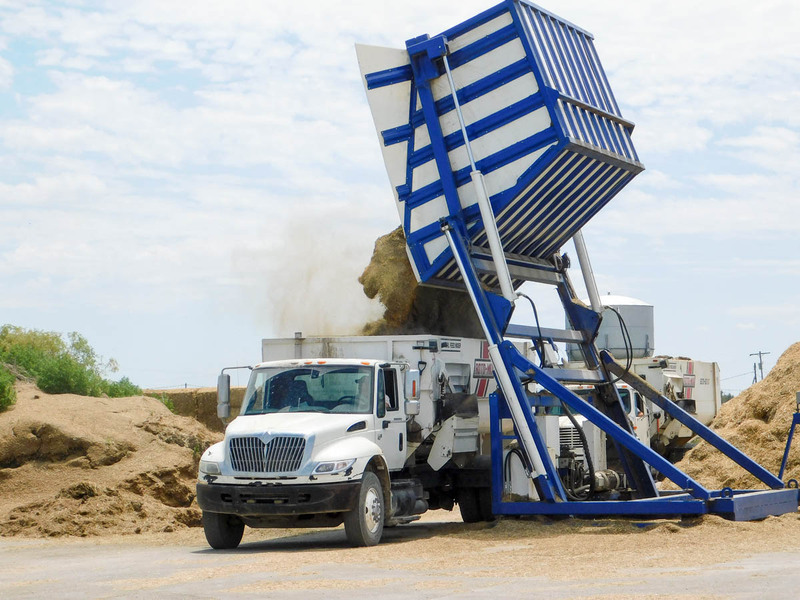 Full of of Certified Angus Beef® brand ground beef and a ton of flavor. Even cooked on your stove, you can feel like you’re out in the range with the cowboys at the end of a long hard working day! I am a paid influencer for Certified Angus Beef® brand through Sunday Supper Movement. All opinions are mine alone. 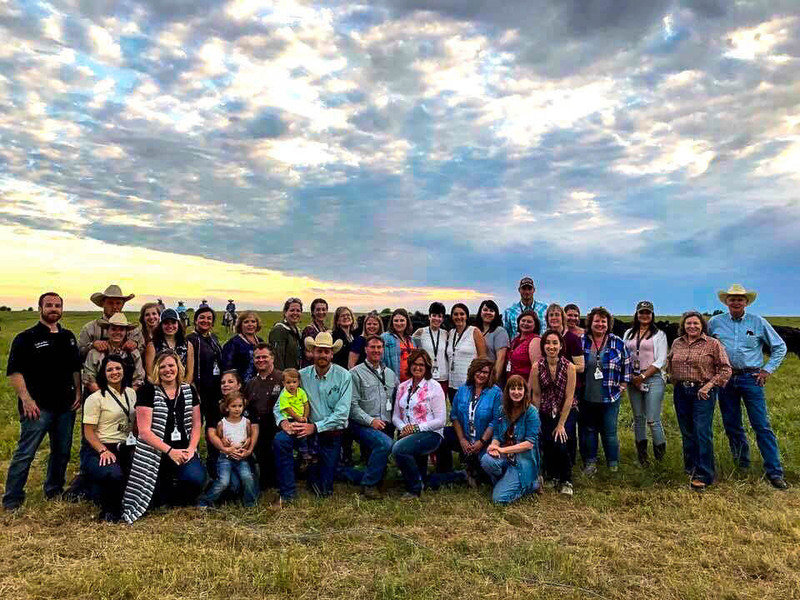 It is hard to believe that just a couple of weeks ago I was on my journey to Kansas with a group of Certified Angus Beef® brand influencers. We were on our way to learning a whole new lifestyle and means of living for the western cowboy. 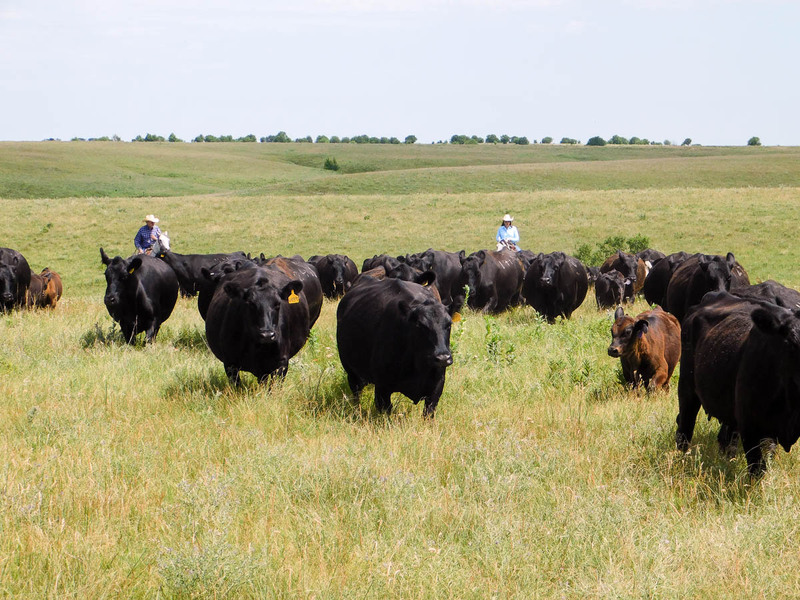 Certified Angus Beef has made it their mission to educate their influencers on how their beef is brought from gate to plate. 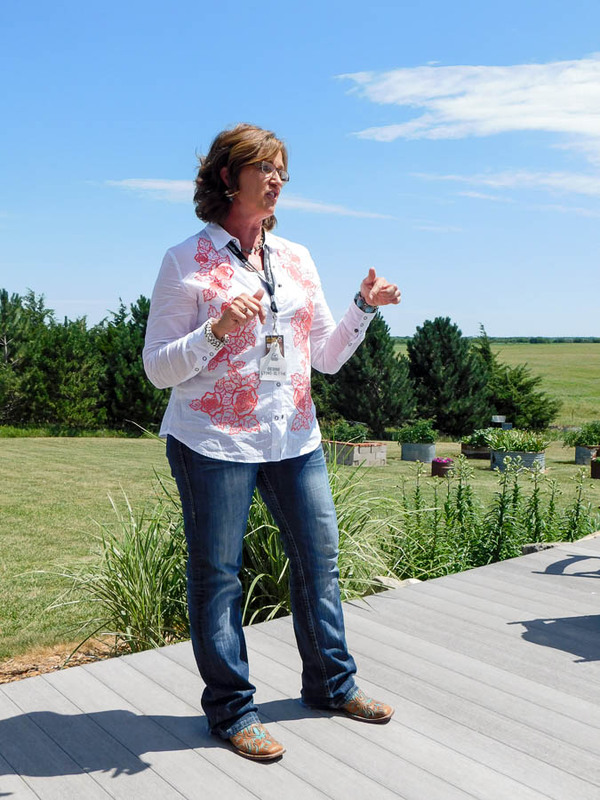 We met first with Debbie Lyons-Blythe, who is a cattle rancher who raises cattle (and kids!). 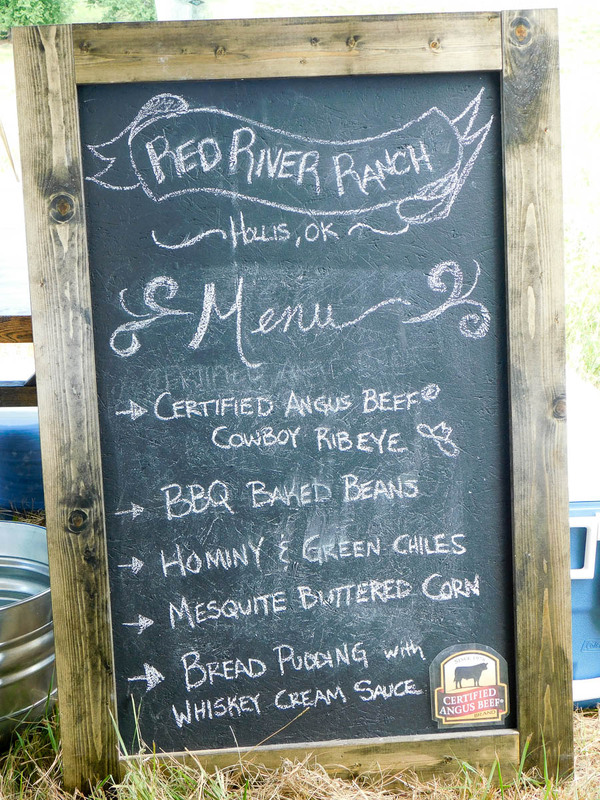 Debbie extended her hospitality to us and served a delicious luncheon at her home as a start of our day on the ranch. We later took a tour of the Tiffany Cattle Company where we learned about how the cattle are cared for and fed. Who knew what a big process it was! We were shown the “kitchenaid mixer” for the cattle feed and how it works to bring together different types and ratios of feed for the cattle. I was also very impressed to learn that there are built in water vats in each lot of cattle and that those water vats are scrubbed clean weekly! While a lot of it was new to me, some of it was similar to my home state. It just felt like it was on a much larger scale! Our next stop was a hayride to the range where we would meet the cattle and the cowboys, make biscuits with Kent Rollins, and walk among the wildflowers while identifying them. 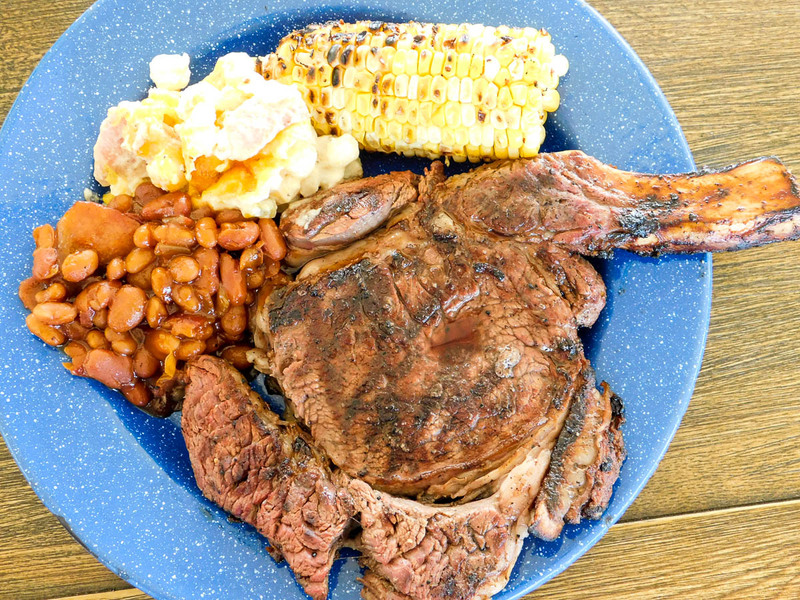 Next came our dinner of Cowboy Ribeye, Barbecue Baked Beans, and a delicious hominy recipe! I could almost imagine myself thrown years back into the old west days when I see the cattle roaming free on the range. Like they were right in harmony with the cowboys (and girls) who were out there rounding them up. They grazed in the grass while the rest of us enjoyed a Chuckwagon meal provided by none other than Kent Rollin’s. Every part of this trip was exciting, but the surprise was we were also going to get a chance to visit the Lodge where Pioneer Woman films her Food Network show! The view of the Drummond Oklahoma Ranch is breathtaking. The perfect ending to the weekend was a visit to the Mercantile, a surprise visit from Ladd Drummond himself, and a delicious homestyle meal served right there at the Mercantile before we headed back to Kansas and our trek home. Let me leave you with one last photo of the trip that will hold great memories for all of us for a very long time! These beans would go great with Skillet Jalapeno Cornbread! 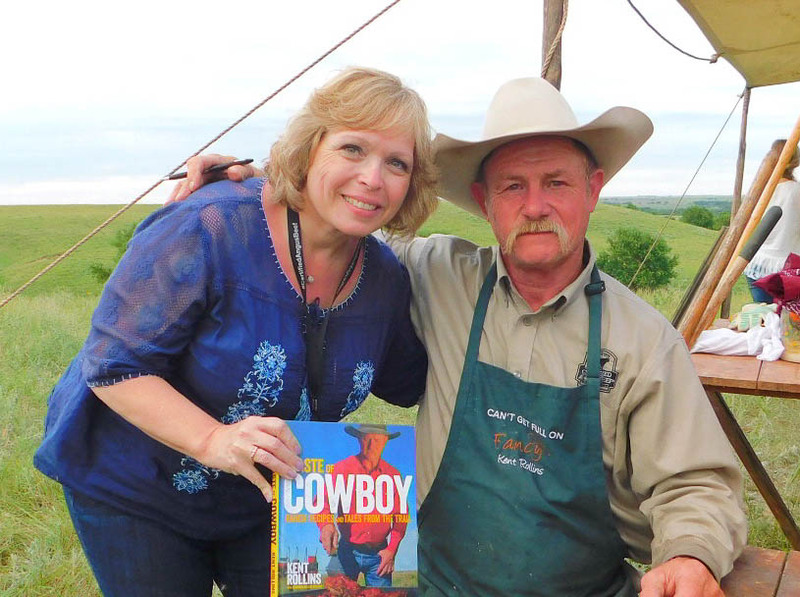 This post contains an affiliate link for Cowboy Kent Rollins cookbook. 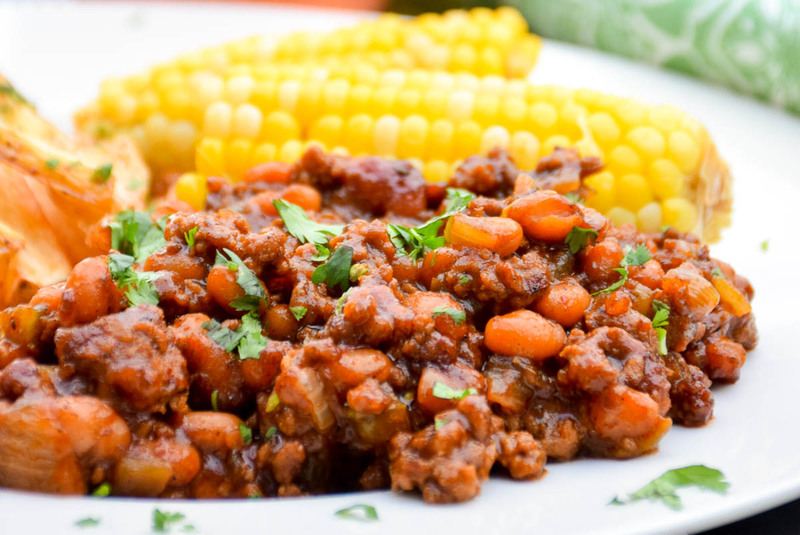 This recipe is adapted from Kent's One-Stop Barbecue Bean bake recipe. Place ground beef in cast iron skillet and cook over medium heat until beef begins to brown. Add onion and jalapeno and cook until onions begin to turn translucent. Add pork and beans, barbecue sauce, green chilies, chili seasoning, and mustard. The original recipe also added ketchup to the pan. I skipped out on this as I didn't feel it needed it for our tastes. Please help yourself to my recipe and also, grab Kent's cookbook and the full experience of all his Cowboy Cooking recipes! Pin it! Barbecue Bean Bake! I envy you man what a great opportunity! I was sent this beef once and we loved it! everything looks like fun and the food over the top! I am very blessed to have a relationship with Certified Angus Beef and I truly do feel it is the #BestBeef for many reasons, but the biggest being their dedication to providing consumers with the very best quality beef to be consumed! It is a so impressive how ranchers care for their cattle to provide this to us. I learned that not all beef raised on the ranch are labeled as CAB, there are several things that influences whether it gets that label. I hope you can enjoy it again and again and will follow along with them as I know they would love you to do so! It was such a joy to be on this trip with you!! 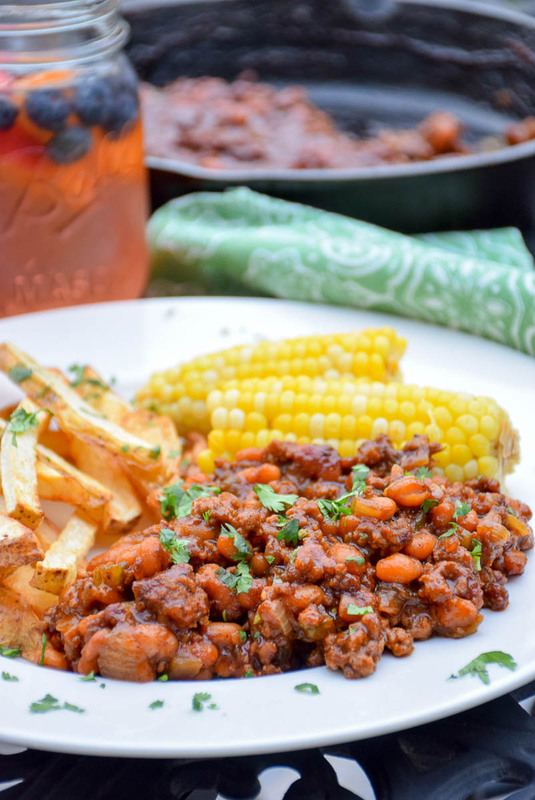 I love this post AND these amazing baked beans! Yes 🙂 Finally meeting you in person was one of my highlights of this trip also Liz! So glad we got to know each other a little better in person AND these beans are delicious. I’m making them again ASAP! The beans look so hearty and filling. What an amazing opportunity and experience! Thanks Ellen! They are exactly that! Such beautiful photos! We, too, treasured our time together and it’s so nice to read it from your perspective. These beans look sooo tasty!! I was so glad to see you again and share all these wonderful experiences with you. Your post is a great tribute to those Certified Angus Beef ranch families that work so hard to bring us the best beef. Those beans look so good I need to have them at my next cookout! Yes Cindy, you do need to make those beans! 🙂 It was great seeing you again too!! So fun that you got to go and do that. Delicious food. Looks like a great time. Thanks Katrina, I really love working with Certified Angus Beef!